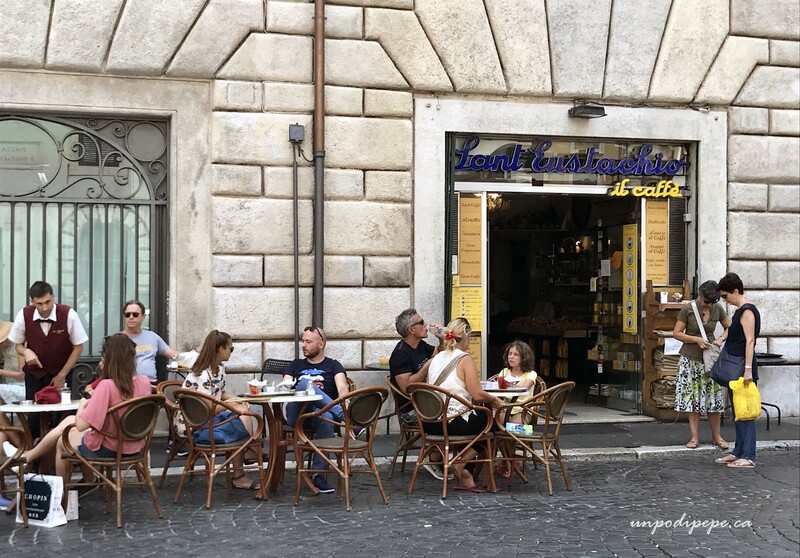 Roma truly is ‘la Città Eterna’-the eternal city! 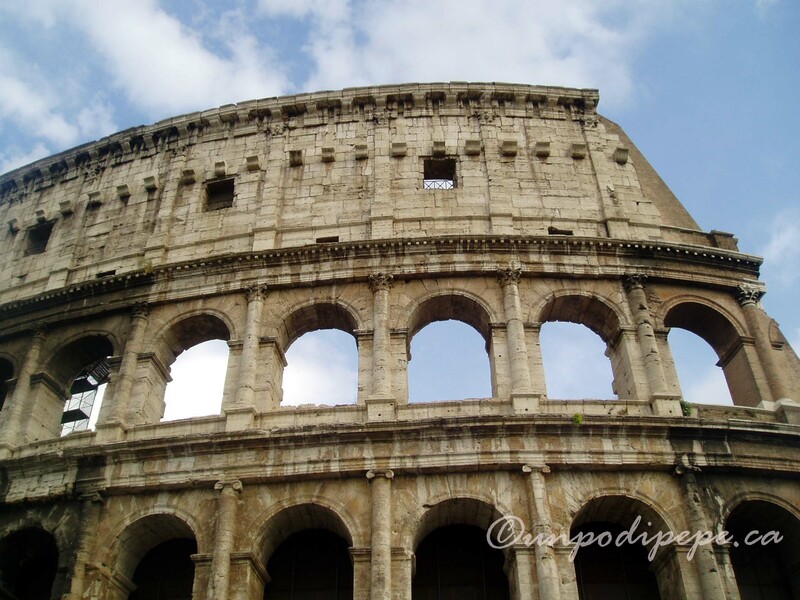 I usually fly in and out of Roma then take the train to Foggia on my way to Orsara di Puglia. I often have one full day in the city at the beginning or end of my trip. 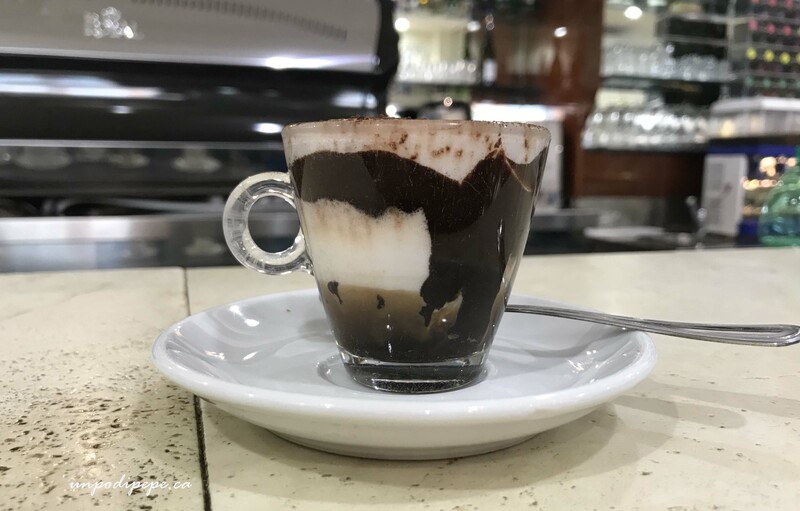 When i’m in Roma for just 1 day, I have a usual ‘itinerary’. 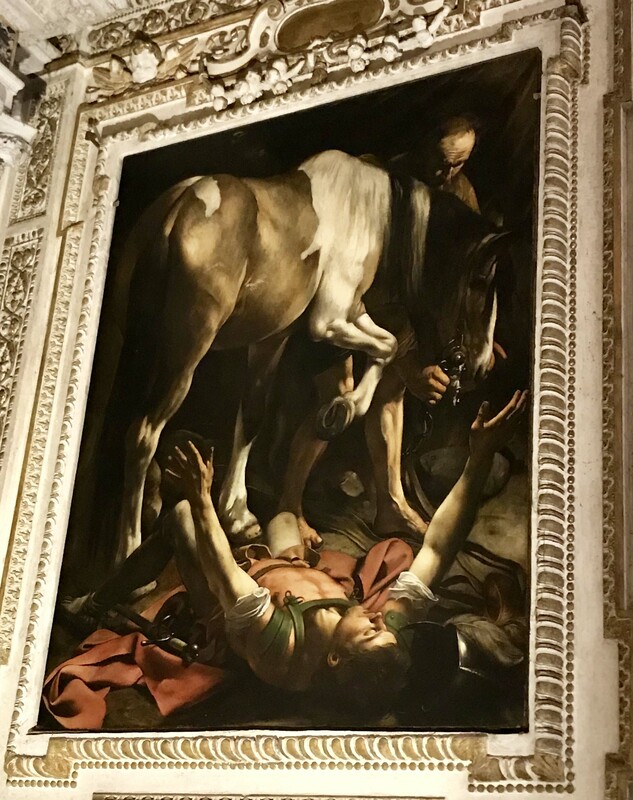 I do not actually recommend anyone go to Roma for just one day, especially for the first time. 5 days will do but more is better. One day only gives you enough time to visit a few sites, so it is mostly an entire day of exploring the city on foot. The sites I choose to visit change a bit each time, but the route is basically the same. 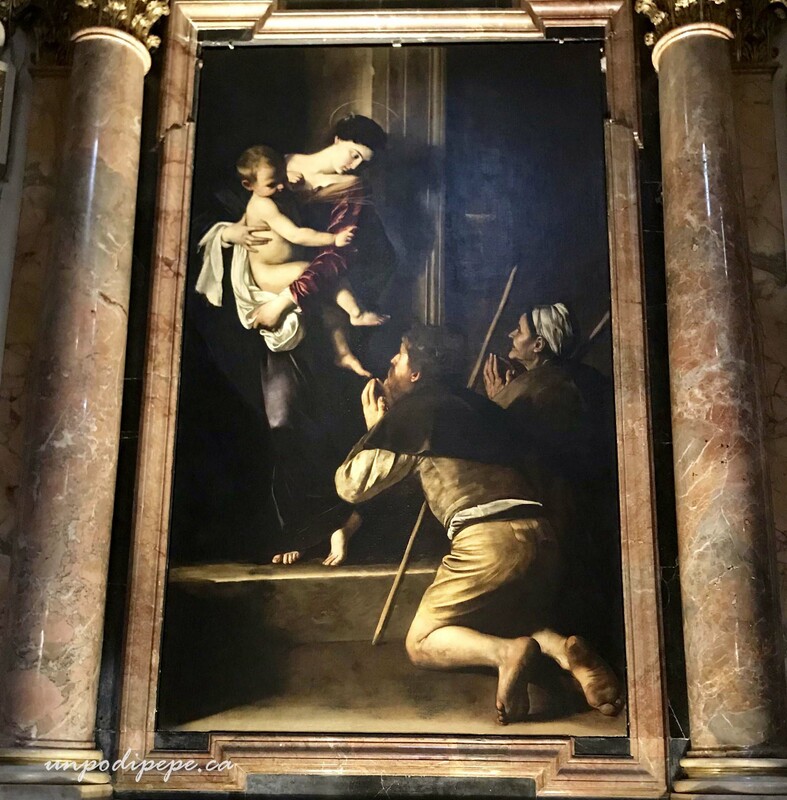 I stay with a friend in the Basilica San Paolo area so I take the Metro blue line to the Colosseo stop, exit the station and take a few minutes to absorb the view across the street. 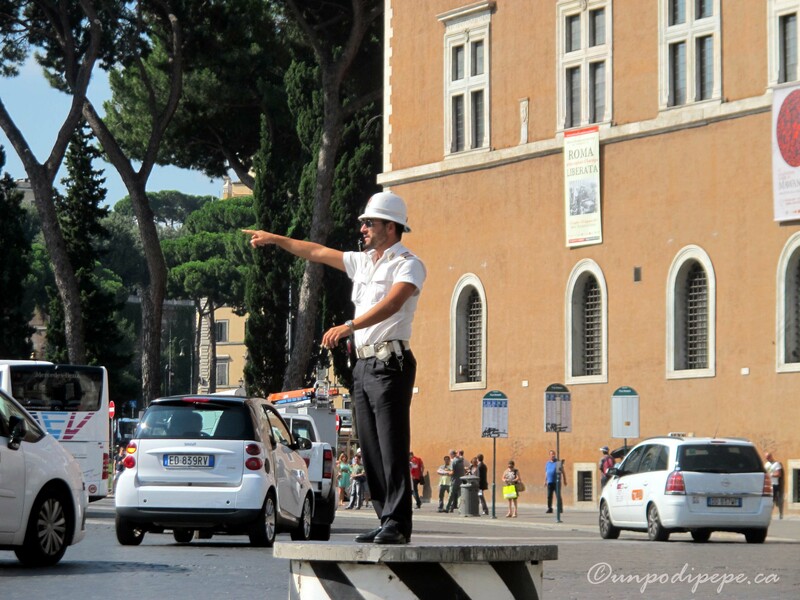 The view across the street from the ‘Colosseo’ metro stop! 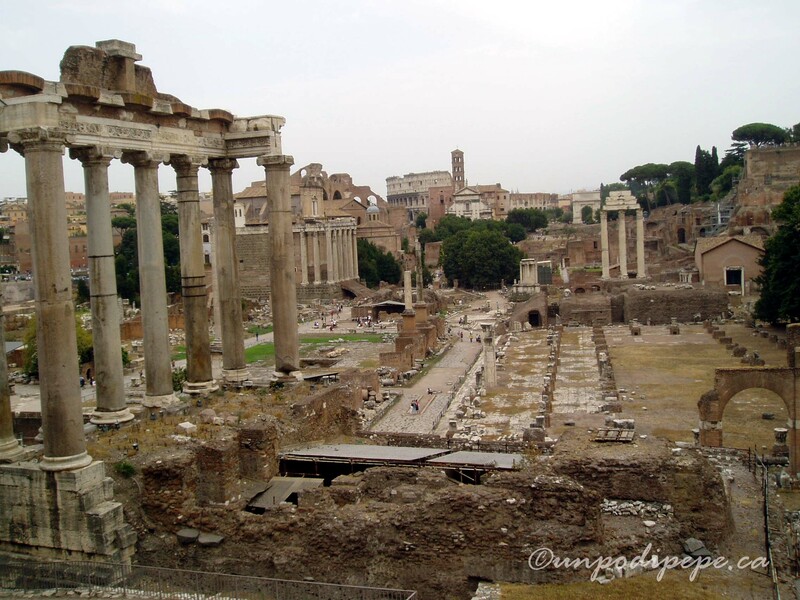 Then I turn right and walk along Via dei Fori Imperiali. 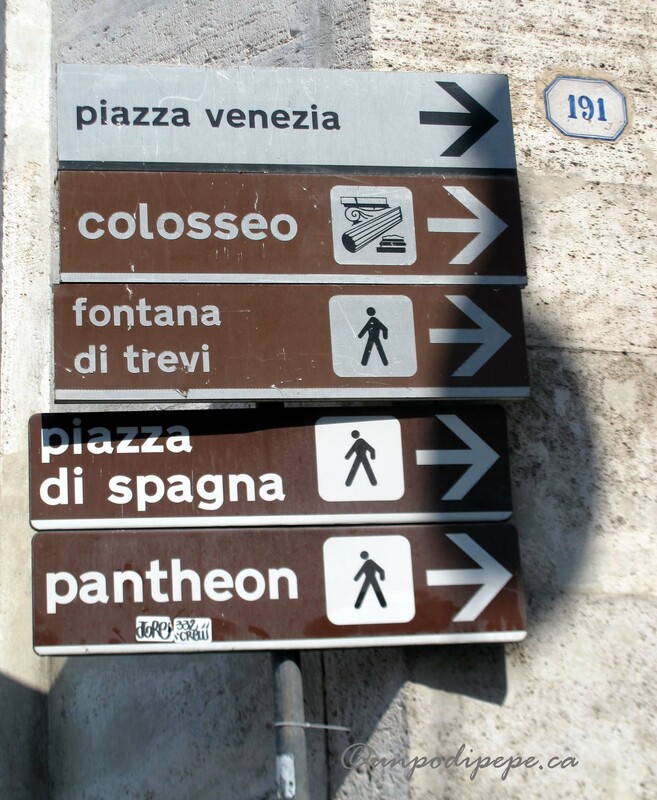 If you visit Il Colosseo, the ticket includes entry to the Forum, so you can walk through there. 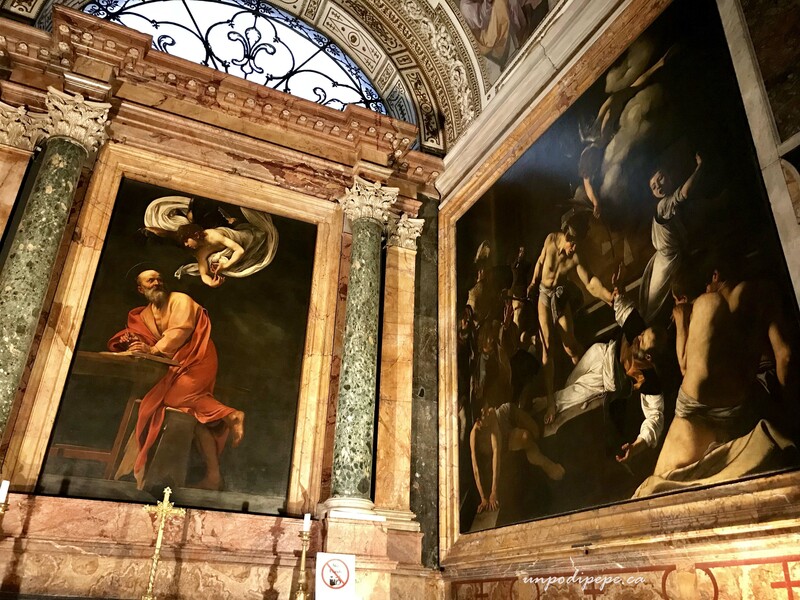 Visiting these 2 awesome sites will take all morning, so they are not usually part of my ‘1 day’ itinerary. 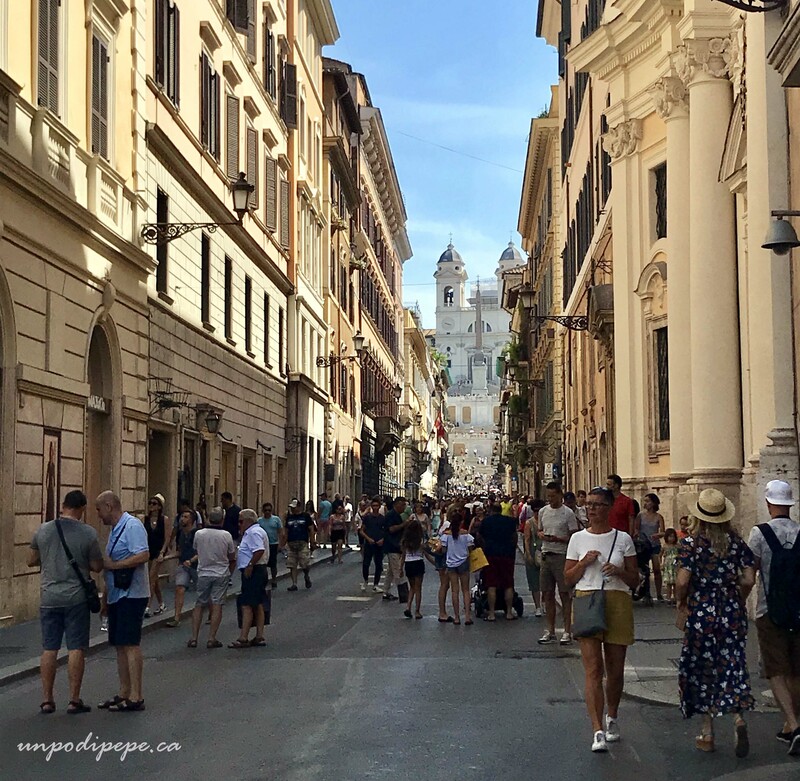 I walk along Via dei Fori Imperiali all the way to Piazza Venezia and Il Vittoriano, which is the neo-classical monument that looks like a giant wedding cake . 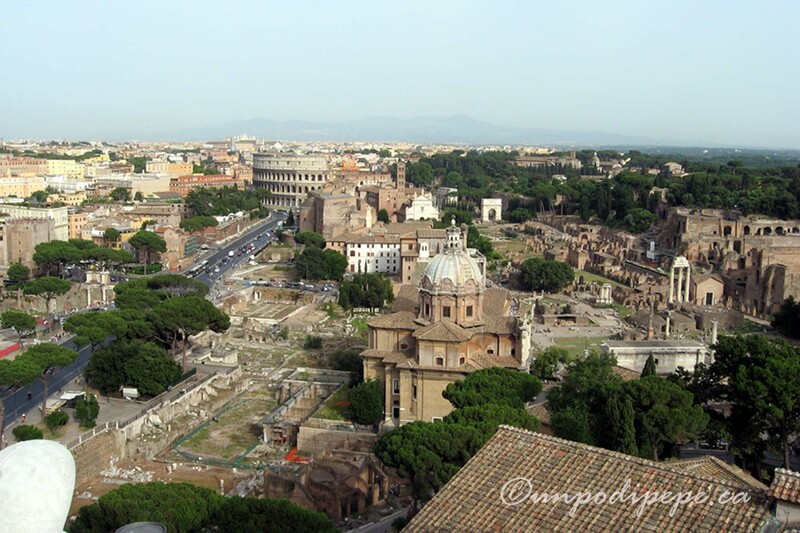 If you want some great views of Roma and are not afraid of heights, you can take the glass elevator to the rooftop terrace. 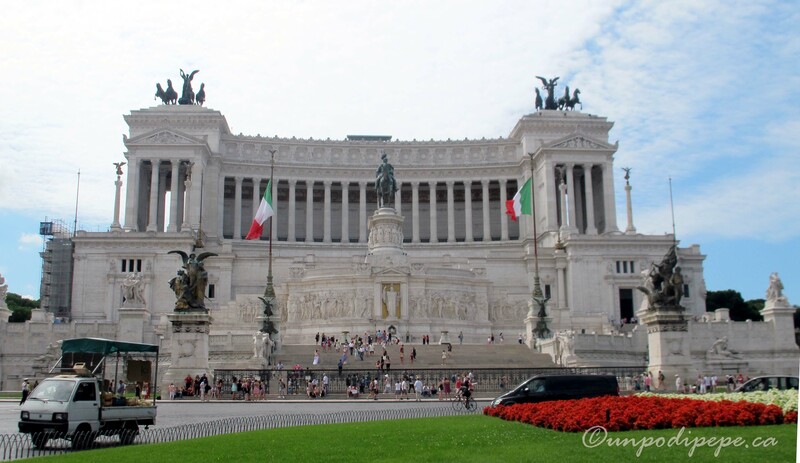 Then I turn right again and cross Piazza Venezia, which can be a bit of a challenge, and walk along Via del Corso. 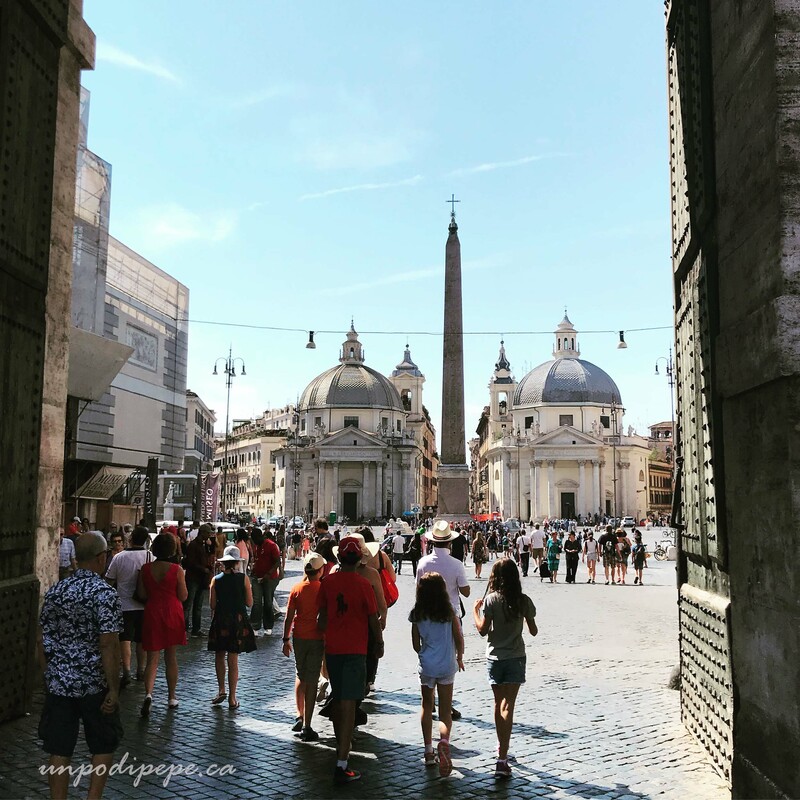 Via del Corso is lined with shops and goes all the way to Piazza del Popolo. Crossing the street can be challenging! Photo taken by Vito! 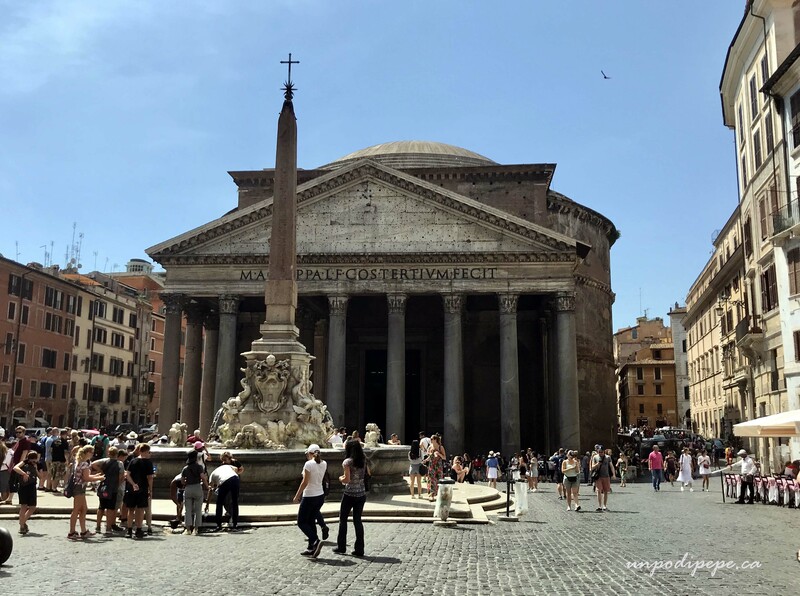 I turn into one of the side streets on the left and walk to the Pantheon-the domed architectural masterpiece that is absolutely not to be missed! 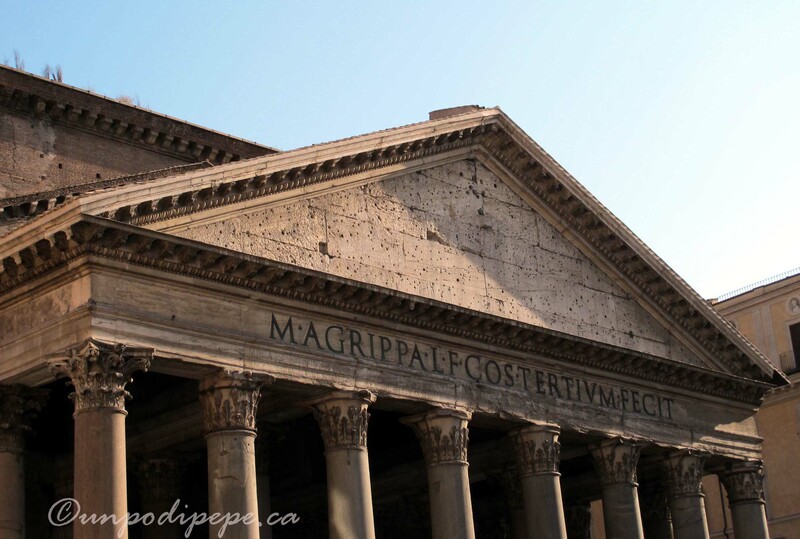 The 2000 year old roof is the largest unreinforced concrete dome in the world. 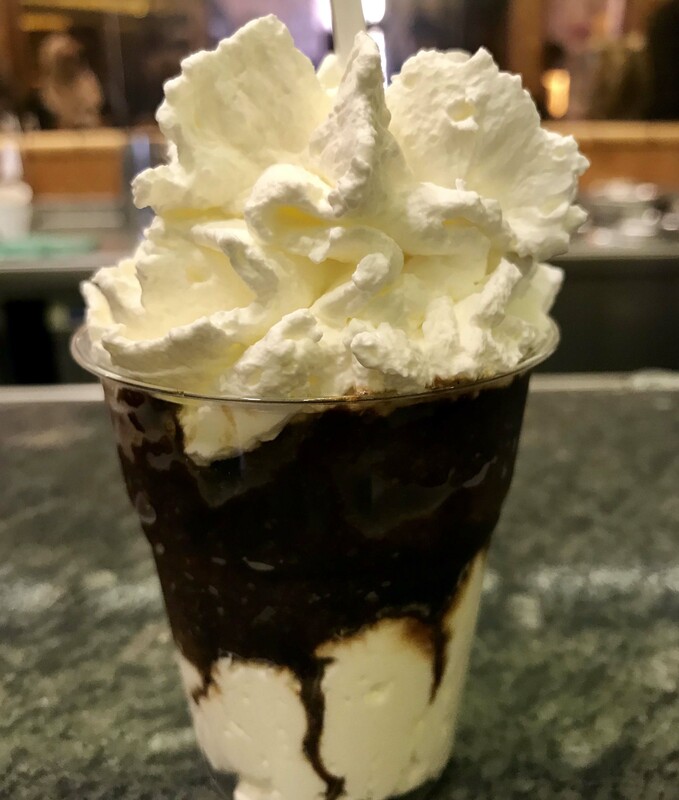 Across the street I have an incredible granita di caffè at Tazza d’Oro. 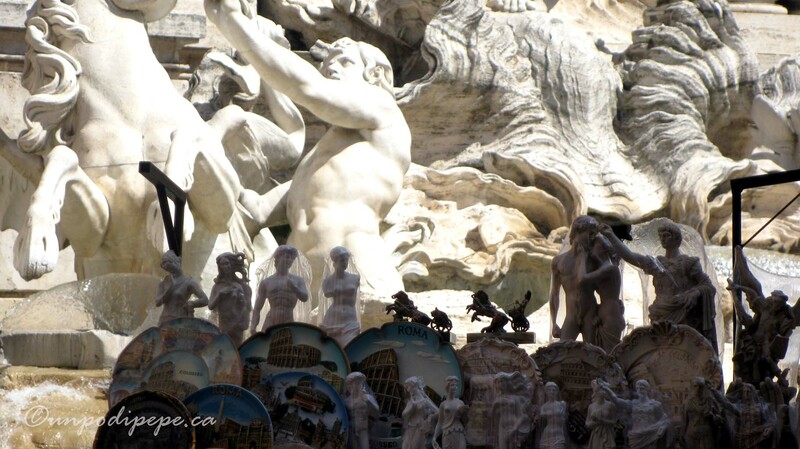 Behind the Pantheon is Santa Maria Sopra Minerva with Bernini’s adorable ‘elefantino’ sculpture in the piazza. I sometimes like to sit and sketch the pudgy little elephant carrying a 5m Egyptian obelisk on its back. Bernini’s elefantino in Piazza Minerva. 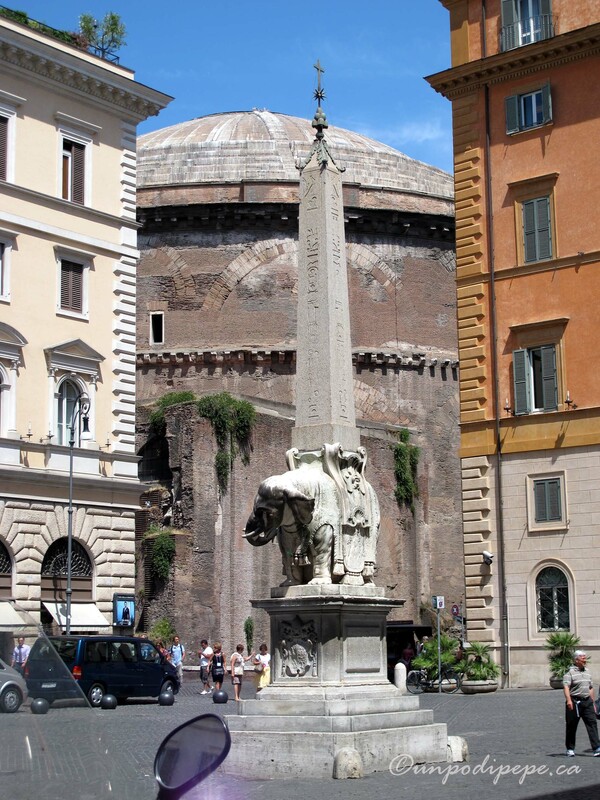 Behind the obelisk, you can see the domed roof of the Pantheon. The molto fancy ‘Grande Hotel de la Minerve’ across from the church has a roof bar with incredible views. Down a side street – Via del Gesù- is Poggi art supplies www.poggi1825.it , so of course I have to stop there and drool at all the stuff I can’t carry home. 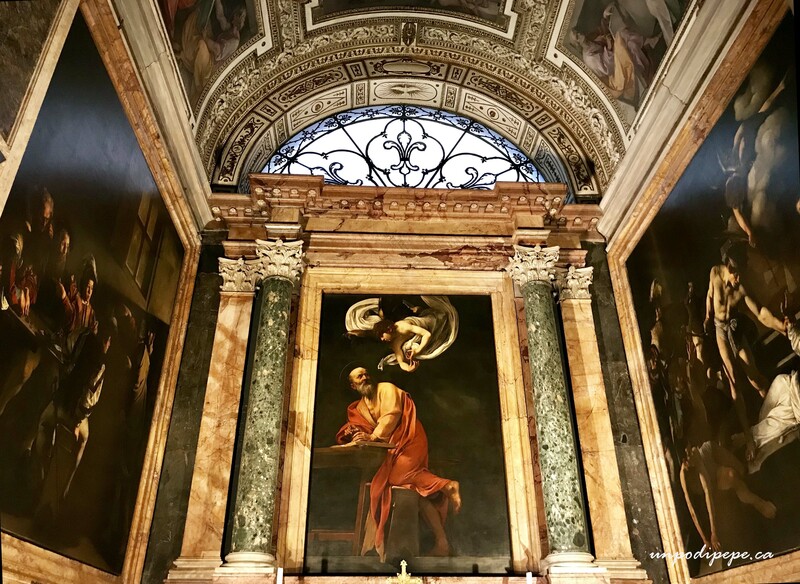 I also pop into the little Baroque gem San Luigi dei Francesi, which is the National church of France in Roma. 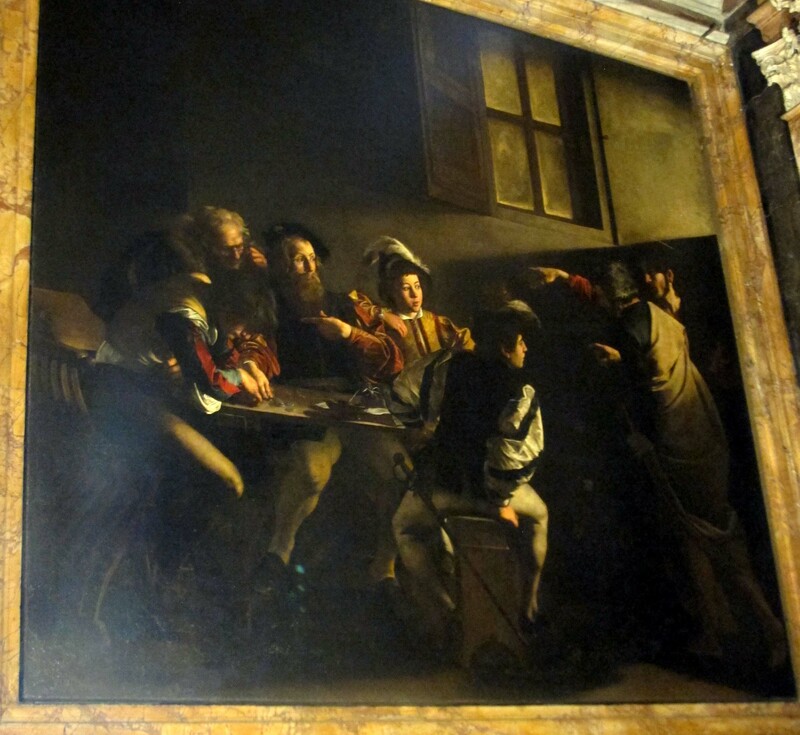 It has 3 incredible Caravaggio paintings-the ‘San Matteo’ cycle, in the Capella Contarelli which you can see for free! No lineups, no online bookings! I always put a coin in the box and light a candle when I visit a church. 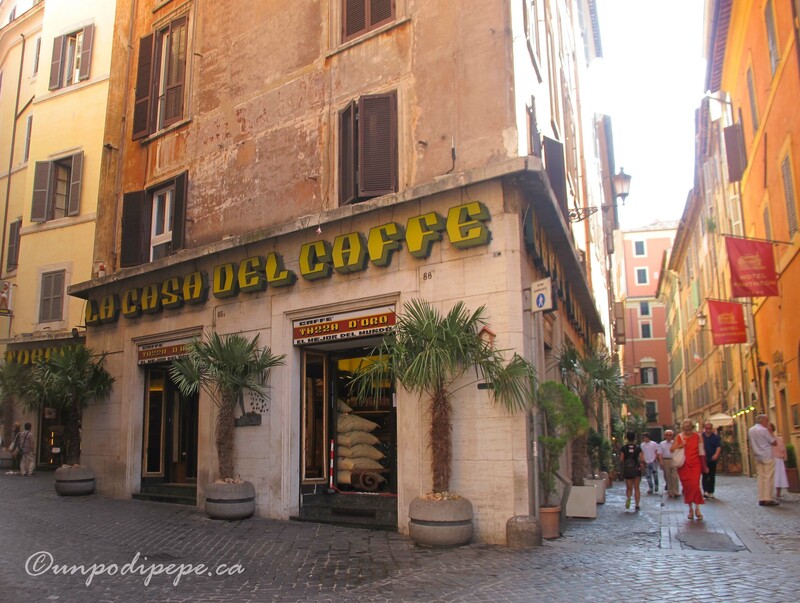 I walk down some side streets and get back onto Via del Corso going left. 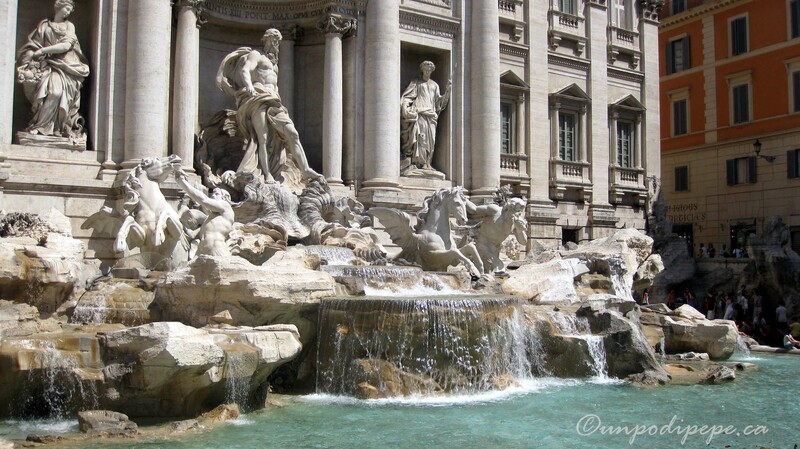 A few blocks down I cross the street and walk to the Fontana di Trevi to toss in my coin. I am very superstitious about this, so I have to do the coin toss or I’m afraid I might not come back to Roma! That would be awful! 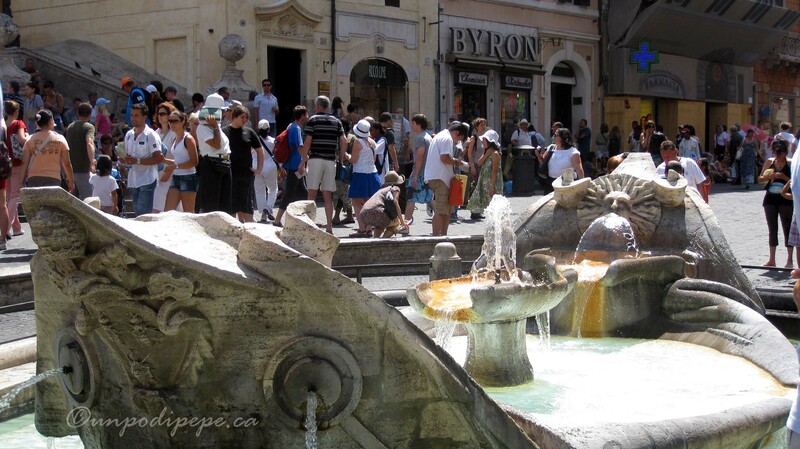 I look at all the tourists then head to my last stop- Piazza di Spagna. 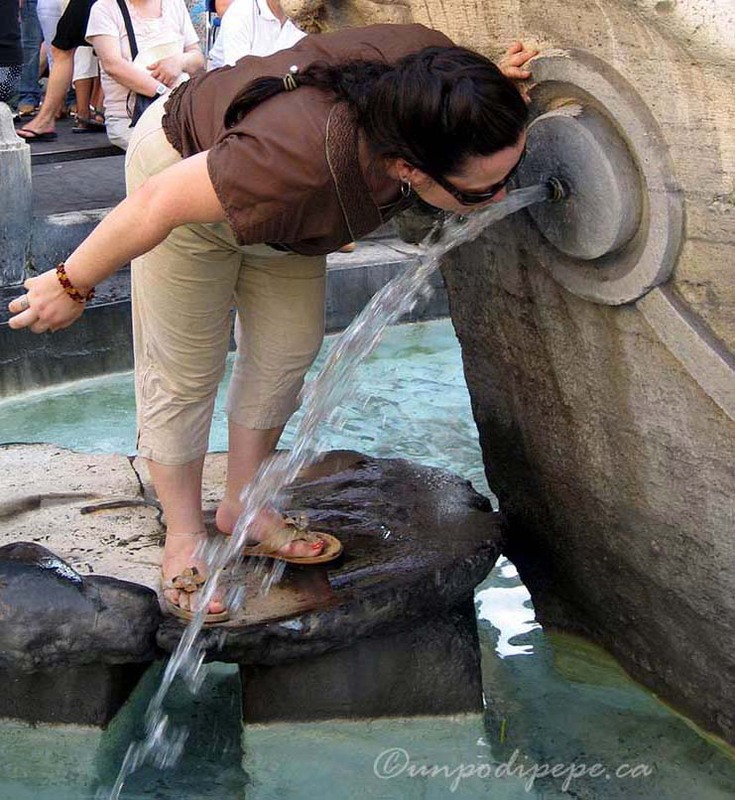 I never miss drinking from the Fontana della Barcaccia. 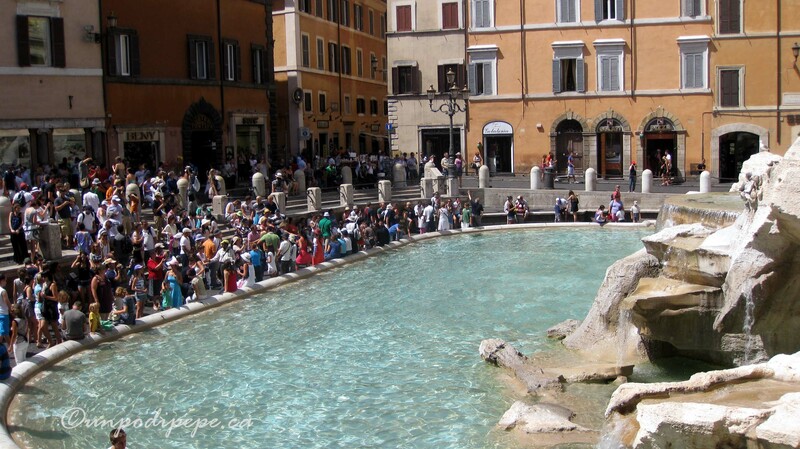 This is the Baroque fountain at the bottom of the steps that looks like a sinking ship. 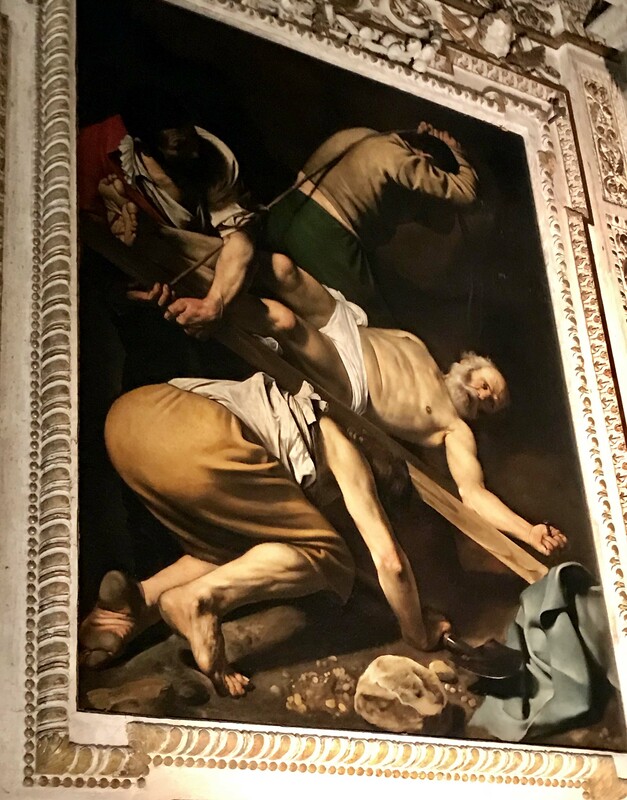 It was sculpted by both Bernini, Pietro and Gianlorenzo (father and son). 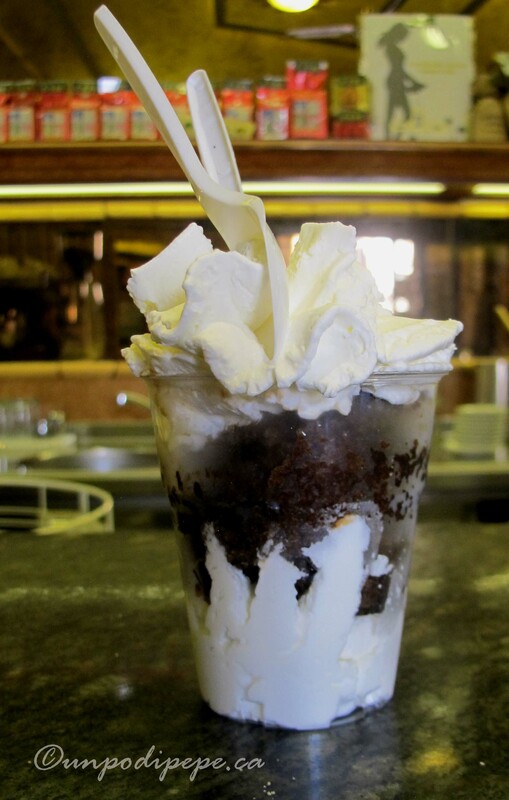 La Barcaccia has the best water ever, especially on a hot day –it comes straight from an acqueduct and is always ice cold. From here I usually walk all the way back to the Colosseo metro stop to take the metro back home to San Paolo and pick up take-out suppli on the way. 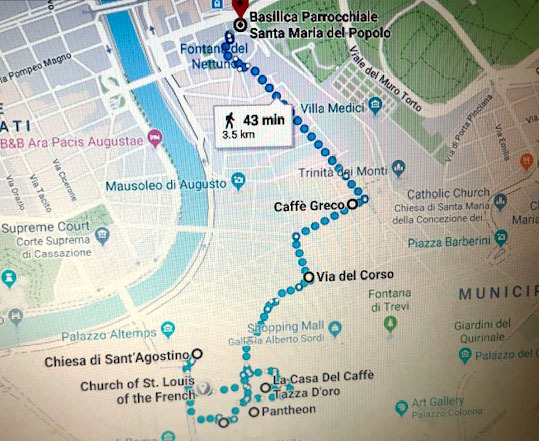 If I am too tired or have evening plans, I take the metro at Piazza di Spagna (red line) to Stazione Termini then change to the blue line for San Paolo. Piccoli gladiatori! 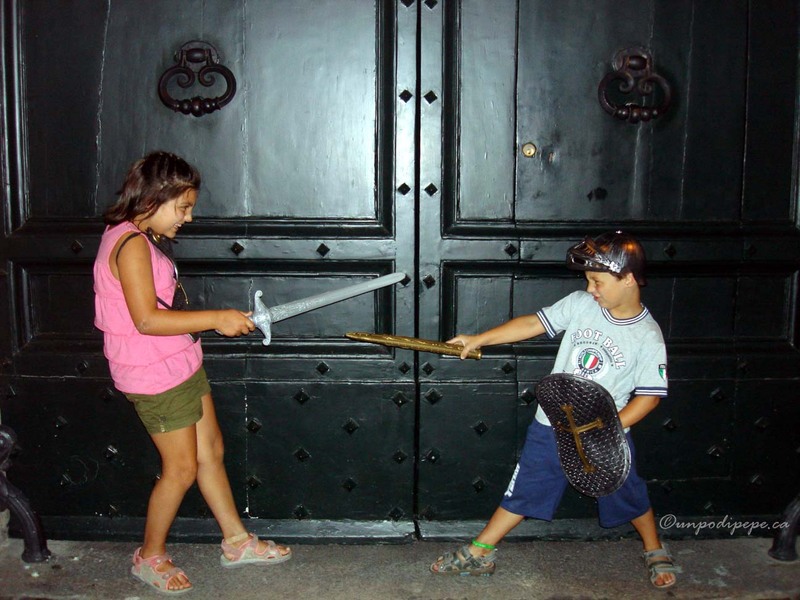 Beware of fierce gladiators in training!